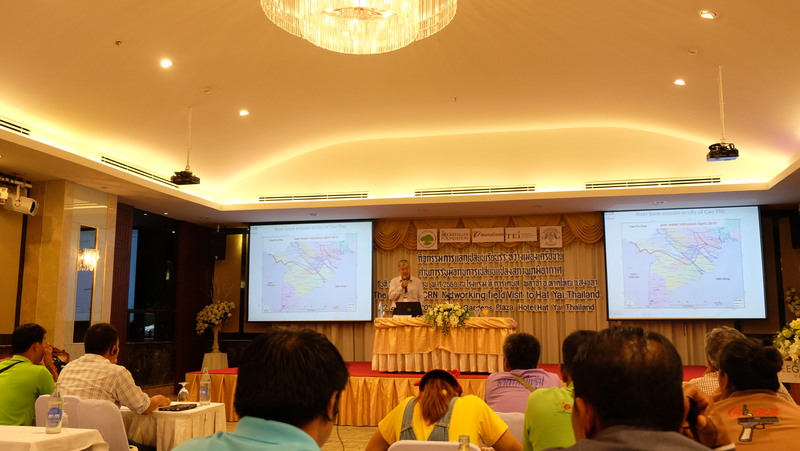 From 22-23 April 2015, the Asian Cities Climate Change Resilience Network (ACCCRN) organized a soft launch event and first exchange visit in the city of Hat Yai, Thailand. 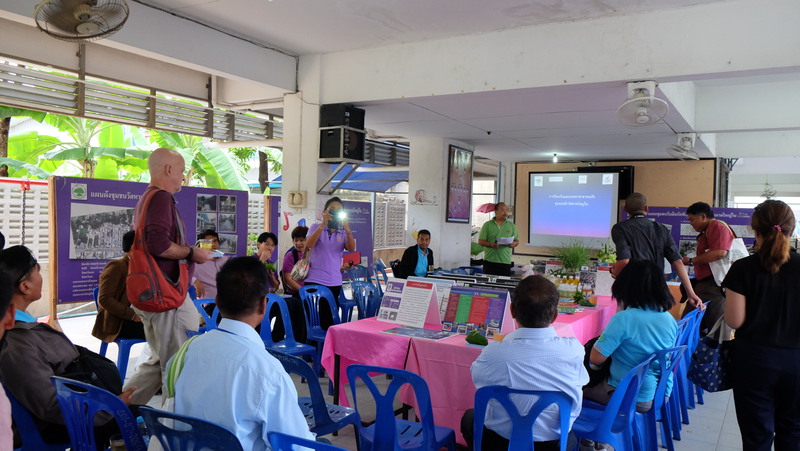 The event was co-hosted by the Hat Yai City Municipality and ACCCRN Hat Yai working group. 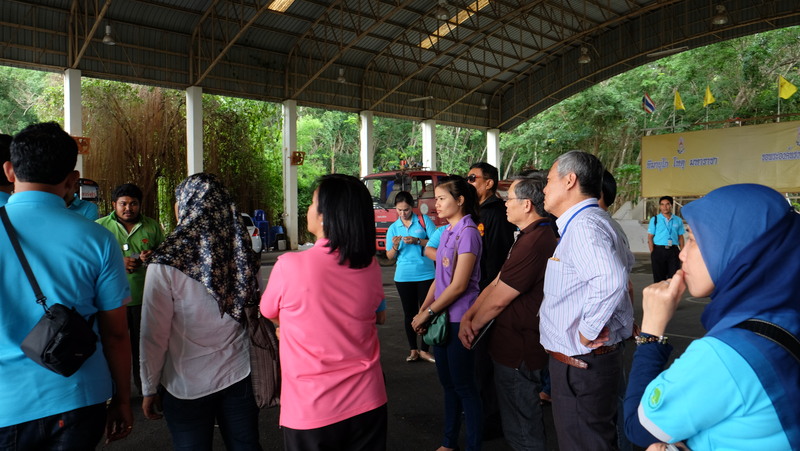 Participants, from different cities of Bangladesh, India, Indonesia, Thailand and Vietnam, gathered to learn from Hat Yai’s experience in building climate resilience for their city, and to share their own knowledge, perspective and experience, especially related to community-based capacity building and flood risk reduction. Hat Yai—a small coastal town in the southernmost Songkhla province of Thailand—is undergoing rapid urbanization and commercialization. Located on a low-lying floodplain area of the U-Tapao River basin, the city is suffering from regular floods events every year, and major flood events in approximately 12-year intervals. However, recently along with the urbanization process and the impacts of climate change, local communities in Hat Yai are seeing more frequent flashfloods, and severe flood events (such as those in 2009, 2010 and 2012) that cause major damages, especially the most vulnerable people such as the elderly, women, children and the physically challenged. In this context, a bold and effective measure was taken by the city government to reduce flood risks in the area. This is the construction of six flood diversion canals connected to the main streams of the U-Tapao River. 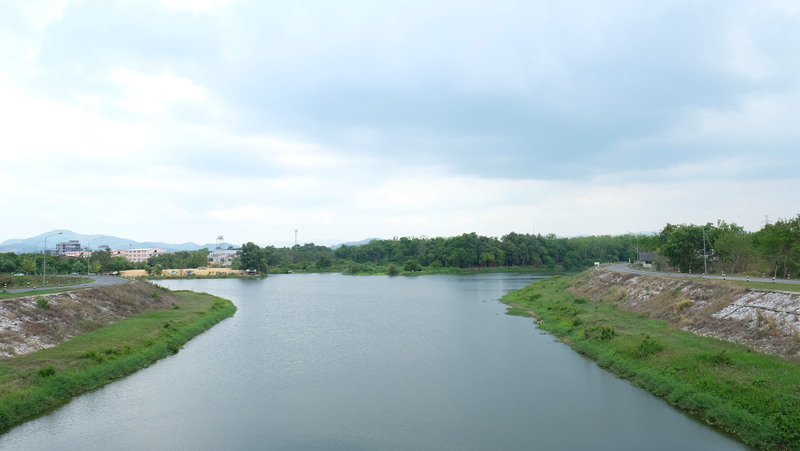 Started in 2004 and finished in 2010, the canals allow floodwater to flow more quickly into the Songkhla Lake in the north and into the ocean, thereby significantly reduced flood risks in Hat Yai city. The flood diversion channels, however, will not solve the flood problems completely. Living in a river floodplain area, communities here will always have to accept floods as part of their lives. Therefore, local communities have to organize themselves effectively to respond to floods. Visiting community flood evacuation shelters As part of this process, a City Working Group was established under ACCCRN, focused on strengthening capacity of governments and communities to reduce flood vulnerability, and in developing and implementing the city resilience strategy. With the facilitation of this working group, the ACCCRN program supported organization of flood evacuation centers in the most vulnerable communities, and implemented an early flood warning system in order to provide official flood warning information to the communities. This system includes real-time flood monitoring stations called CCTVs, which include staff gauges to monitor flood levels, and the website (www.hatyaicityclimate.org) where monitoring information are updated. Real-time images of CCTV staff gauge reading are displayed on the website as evidence. 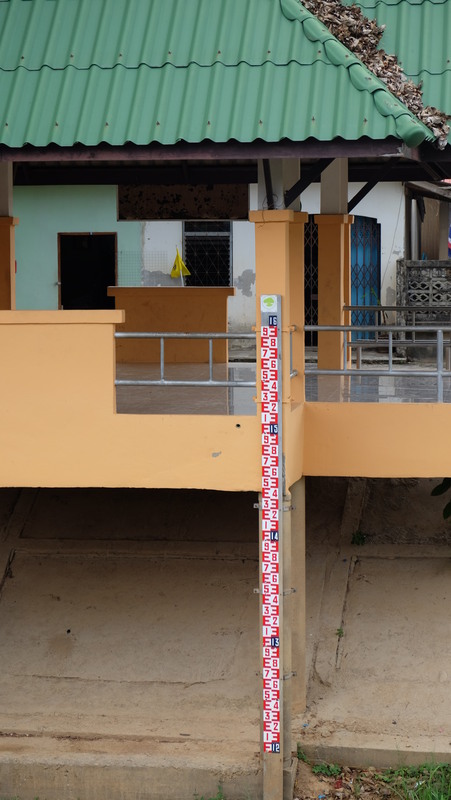 Two CCTV stations were installed along the main stream of the U-Tapao River. In addition, the project team collects meteohydrological data from monitoring stations and use these data to calculate flood respite periods. Timely provision of the information allows people time to protect their assets and evacuate to higher place before a flood arrives. This entry was posted in Climate Change, English / Tiếng Anh, flood management, Urban resilience and tagged ACCCRN, CBDRM, CCCO, climate change, disaster risk management, flood management, ISET. Bookmark the permalink.